Organizational behavior involves several issues relating to the work, productivity and issues that impact on a company outcome. In most cases, the imbalance at work and level of stress that an employee undergoes affect his/her overall productivity. Nag, Hambrick & Chen (2007) noted that work imbalance could have serious consequences on employee performance. The further indicated that proper scheduling and management of different tasks contribute to increased operational abilities of individual workers in a company. Managing the imbalance therefore enables the company management to recognize and accept the input of every individual employee irrespective of his/her race or ethnic background. It boosts their morale and increases productivity. Indeed, productivity is a very important organizational goal that determines the behavior, culture and practices of management and workers in a company. On the other hand, Wirtz, Schilke & Ulrich (2010) suggested that since organizations employ various groups of people, the degree of stress management facilitates implementation of tasks. It ensures that the management achieves improved productivity by utilizing diverse skills of the employees. Proper administration of employees’ stress and work-life balance improves productivity significantly (Mulcaster, 2009). In this report, the focus is on how task imbalance and stress at work affect an employee’s output. The hypotheses here included the following. Task imbalance lowers employees’ morale and affects his/her productivity. The level of stress that a person undergoes has remarkable impact on his/her productivity. There is a correlation between stress and productivity and workers who are always under stress cannot perform tasks assigned to them. The research intended to collect raw data from the field, analyze them and use the findings to either accept or discredit the hypotheses. The researcher largely employed qualitative methodology to carry out the study. Under this method, the researcher obtained qualitative data from interviewing a number of managers and their experiences with stressed workers (Wirtz, Schilke, & Ulrich, 2010). The researcher also interviewed selected employees concerning their take on task imbalance, and its affects on their overall output. In terms of procedure, the researcher sampled four departmental heads in the organization and interviewed them one-on-one. Wirtz, Schilke, & Ulrich (2010) postulated that proper sampling was effective for obtaining better results. The interview was interactive, and each person, the interviewer and interviewee, had ample time to ask each other questions. After completing with the managers, the researcher sampled four individual workers, one from each department and interviewed them using the same procedure. Once the interview was complete, the researcher compiled and presented the findings. The result pointed to a number of issues concerning work imbalance ad stress at the workplace. For instance, the managers argued that the work schedule creates a balance that facilitates employees’ performance. Second, the research showed that balancing work is critical to the organization and should consider individual skills and qualification. In this regard, it ensures that the workers do not get tasks that they cannot perform. Third, improper balance of tasks might overload certain workers, thus lowers an individual’s productivity and that of the entire organization. The managers also argued that working with stressed workers is not easy as their level of concentration is low. It makes them unable to work as expected, and it affects even very qualified workers. The general workers also pointed that some managers and colleagues were the major causes of stress at the work. Moreover, domestic issues also caused stress that affected workers’ productivity. Some of the workers noted that certain managers were insensitive to their situation and could even force them to work. Denying them permission reduced their morale significantly, thereby affecting overall productivity. According to the results obtained above, it became apparent that work imbalance and occupational stress at the workplace was real in the organization. Several factors accounted for low morale and poor productivity, including poor work schedules, too much task for a day per individual, insensitivity to workers’ plight, personal problems, domestic issues, pressure from colleagues, and many others (Beauregard & Henry, 2009). These factors had a significant impact on the workers’ performance and their relationships with the company’s management. Moreover, personal differences also affected relationship among the workers, an issue that had a significant impact on productivity. Work-life balance programs are individual based, and contribute greatly to the overall performance (Mulcaster, 2009). Each individual employee demonstrated different and specific needs in order to attain his/her personal responsibilities. The individual employees were also motivated by different identical attributes. Similarly, diversity management strategies are individual in nature for they recognize specific attributes of each individual in the organization (Mulcaster, 2009). Just in the same way, the work-life programs recognized an individual contribution to the attainment of the overall organizational objective. Beauregard & Henry (2009) argued that diversity management policies that the management formulates enable the appreciation of the individual attributes that will enable the employees to perform efficiently in the organization. Beauregard & Henry (2009) argued that the attributes normally propelled organizational structure and culture that appreciate the varied diversities represented by the employee base. The level of stress also had a remarkable impact on the employees’ performance because it affected psychological functioning of an individual employee. For instance, Lazar, Osoian, & Ratiu (2010) acknowledged that it is not easy for a stressed individual to concentrate on work because performance has relationship with psychological well-being. Nag, Hambrick, & Chen (2007) demonstrated that some managers and team leaders do not take psychological well-being of an individual worker as that important. In such situations, they go ahead to assign such people duties and expect them to perform regardless of the circumstances. Beauregard & Henry (2009) believed that it is not a good organizational practice because workers compelled to carry out tasks might not put efforts as those who perform voluntarily. In summary, work imbalance and stress among workers and management leads to low productivity in an organization. The research indicated that managers contribute to the work imbalance due to incompetence that makes them unable to schedule work according to technical skills and experience of each employee. The research also highlighted several factors that accounted for low morale and poor productivity, including poor work schedules, too much task for a day per individual, insensitivity to workers’ plight, personal problems, domestic issues, and pressure from colleagues. The extent to which the management of an organization manages work imbalance and stress in the workplace determines the ability of the company to remain sustainable. 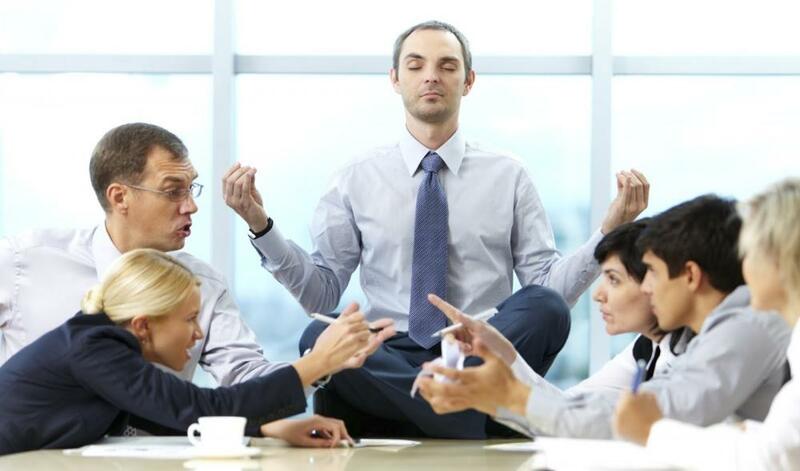 Moreover, managing imbalance and stress increases workers’ morale and improves the overall productivity. An organization that is not productive does not deserve to be operational, but only manifests internal problems and vulnerability to eternal forces. Beauregard, A. & Henry, L. (2009). Making the link between work-life balance practices and organizational performance. Human Resource Management Review, 19(2): 9-12. Lazar, I., Osoian, C., & Ratiu, P. (2010). The role of work-life balance practices in order to improve organizational performance, European Research Studies Journal, 13(1): 201-214. Mulcaster, W. (2009). Three Strategic Frameworks. Business Strategy Series, 10(1): 68-75. Nag, R., Hambrick, D., & Chen, M. (2007). What is strategic management, really? Inductive derivation of a consensus definition of the field. Strategic Management Journal, 28(9): 935-955. Wirtz, B., Schilke, O., & Ulrich, S. (2010). Strategic development of business models: Implications of the Web 2.0 for creating value on the Internet. Long Range Planning, 43(2): 272-290.